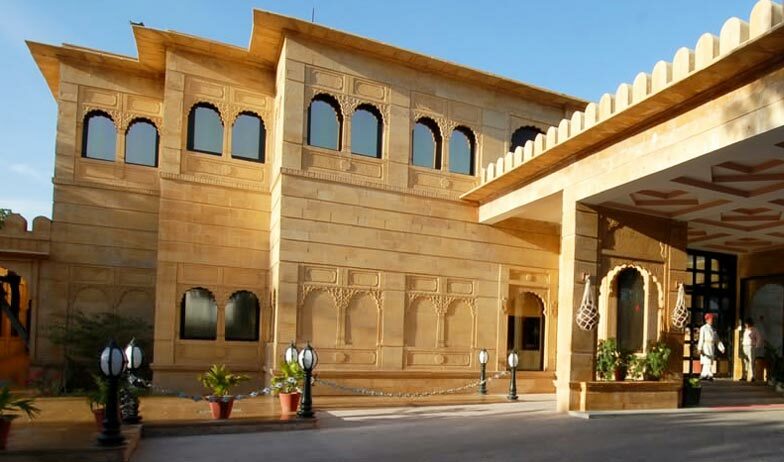 Truly palatial, Gorbandh Palace hotel is a massive piece of architecture depicting the true culture and handiwork of Rajasthan. 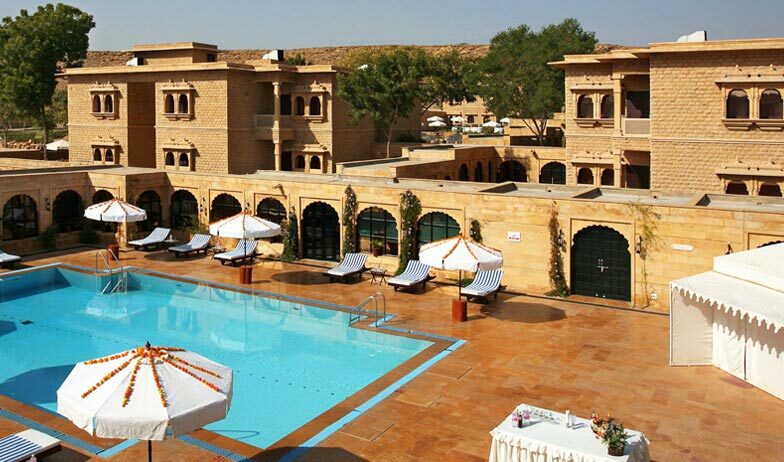 A beautiful fusion of traditional looks and modern functionality, the Gorbandh Palace in Jaisalmer is the perfect tourist hotel for Indian as well as international guests. With its close proximity to the sand dunes, the hotel offers camel safaris and also provides on-site recreation in the form of indoor and outdoor pools, concierge services, free Wi-Fi connectivity, Spa, on- site restaurant and bar set in the plush landscaped lawns of the hotel. 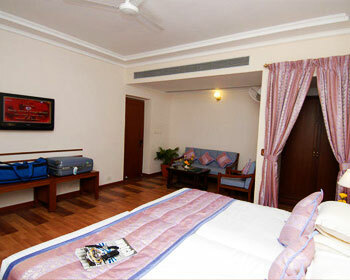 The spacious rooms are well decorated to meet the standards of its international guests. 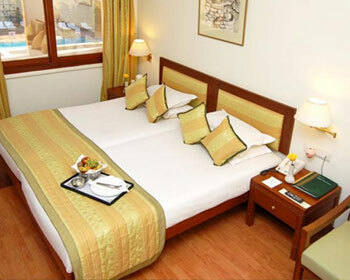 Because of its impeccable services the hotel has created a niche for itself in the hospitality industry. 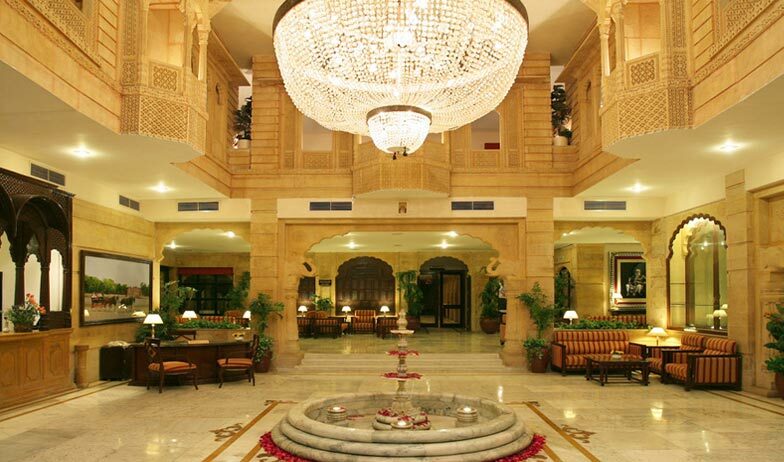 Spacious in area and traditionally decorated with all the modern amenities to make your stay comfortable, the Gorbandh palace offers true international standards when it comes to accommodation. 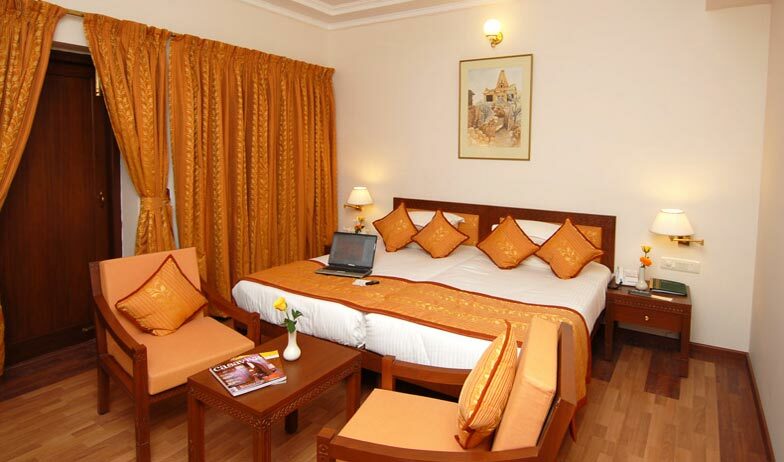 With impeccable room service and western comforts of the attached bathroom, this fully air conditioned room comes equipped with a comfortable queen sized bed, telephone with direct dial service, a safe deposit box and a mini fridge as well. Spread over a wide area the fully air conditioned deluxe suites provide a lot of space in their carefully decorated interiors. 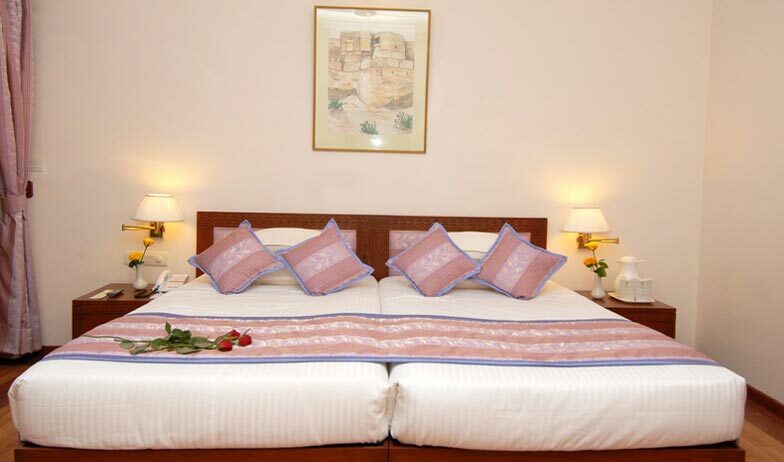 With a separate sitting area, the bed is a comfortable king sized option. The attached bathroom is western in style and offers a separate shower console with all the elemental toiletries. 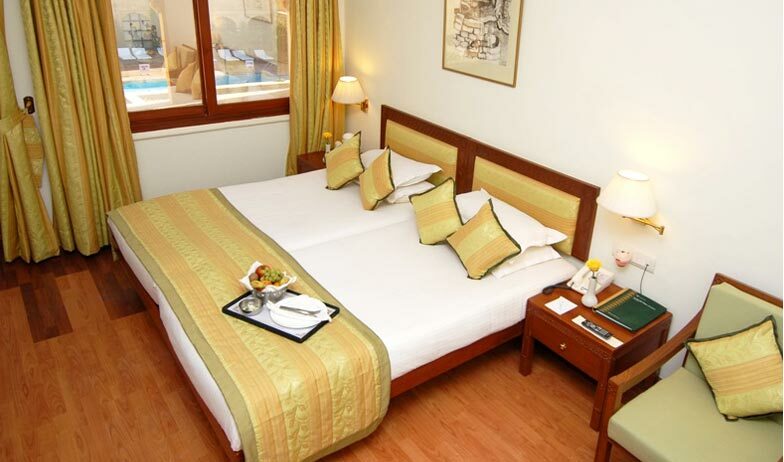 The rooms itself come well equipped with a telephone with direct dial service, safe deposit box and free Wi-Fi connectivity. ‘Rasoda’ as the name itself suggests is actually a kitchen which provides homely cooked meals. 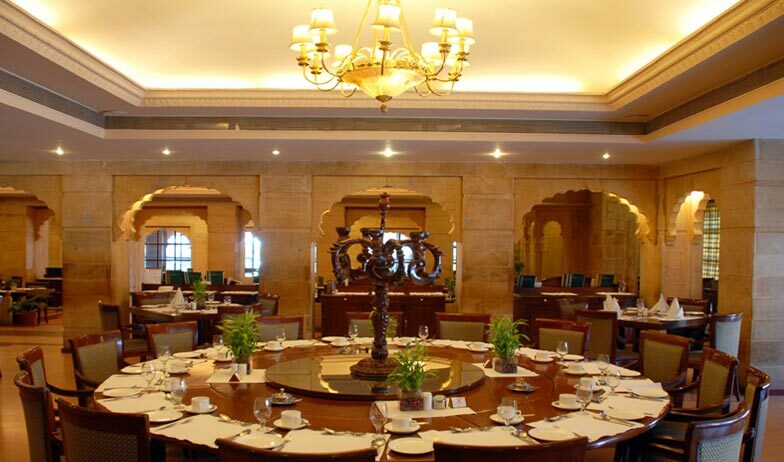 Just like its namesake Rasoda offers a wide variety of ethnic dishes which are traditionally Rajasthani in taste giving its guests not just the taste of a scrumptious meal but also of the culturally rich state of Rajasthan. 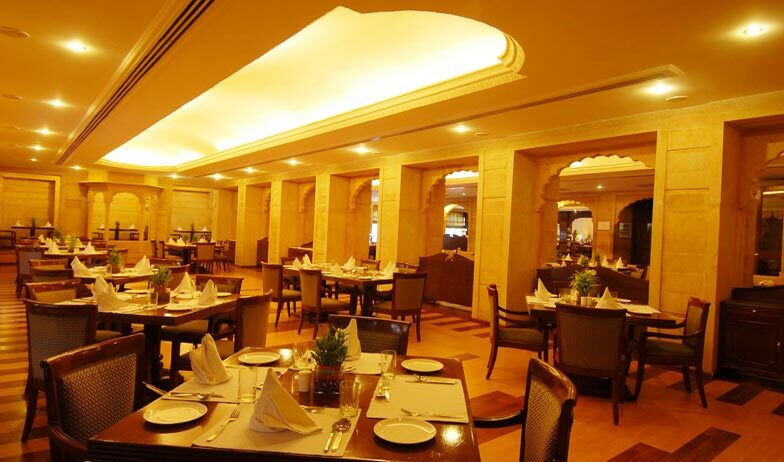 The quick service and impeccable taste of the food are a great combination for the hotel guests to enjoy. 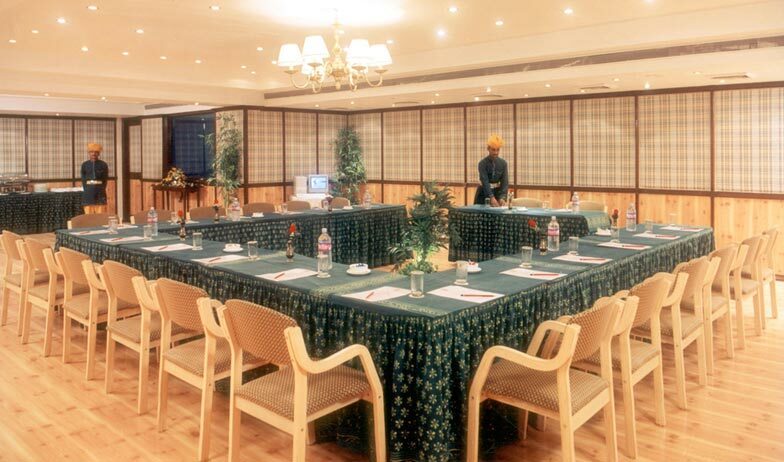 Madhushala is a bar that is quite popular amongst the guests of the hotel. With a wide variety of beverages to offer, the bar is a popular place for the guests to hang out in. soft music playing in the background provides a soothing ambience and the guests enjoy a great time with their drinks and light finger food while enjoying the dulcet tones of the music. The ambience of the bar with soft lighting is just as inviting as the drinks themselves. With professional bartenders the service is quick and up to standards.